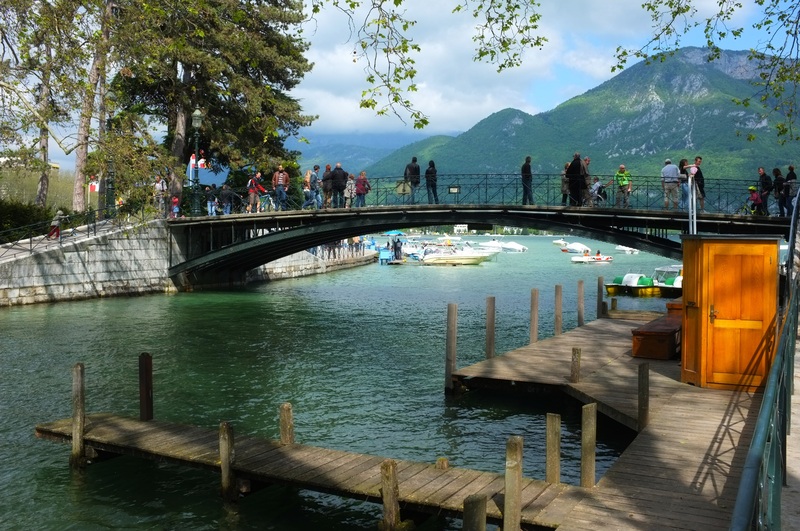 While the medieval small town of Annecy with its colorful building and markets is interesting, a stroll by the lake is very refreshing. 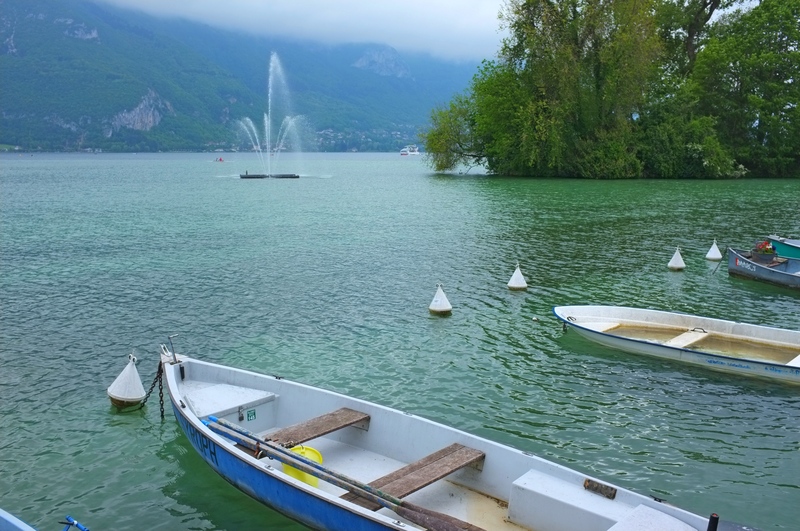 Lake Annecy is the second largest lake in France, after the Lac du Bourget, It is known as “Europe’s cleanest lake” because of strict environmental regulations introduced in the 1960s. 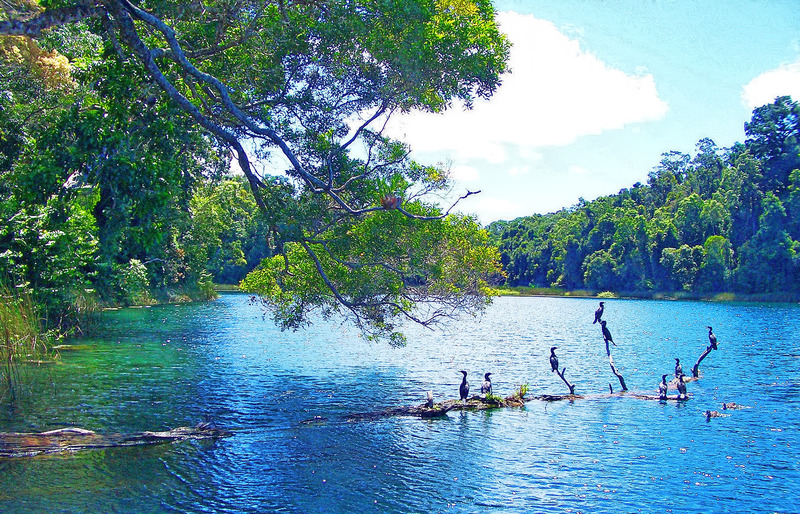 It is a popular tourist destination known for its swimming and water sports. It is close to the border with Switzerland and could be reached by car within around an hour. 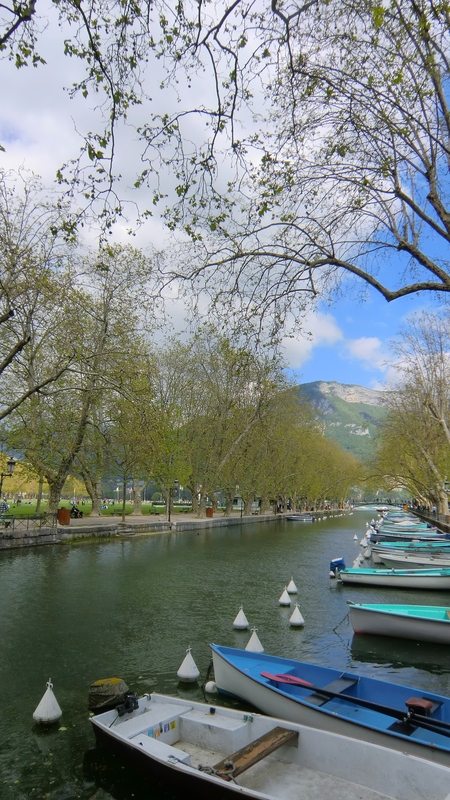 We first strolled by the Thiou River, walking towards the lake. 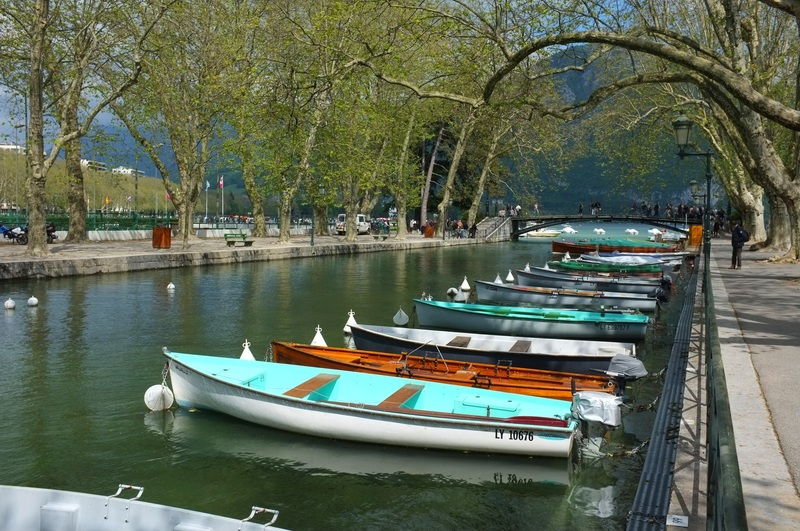 The water in the river was blue and crystal clear and the view with the boats along the river was picturesque. 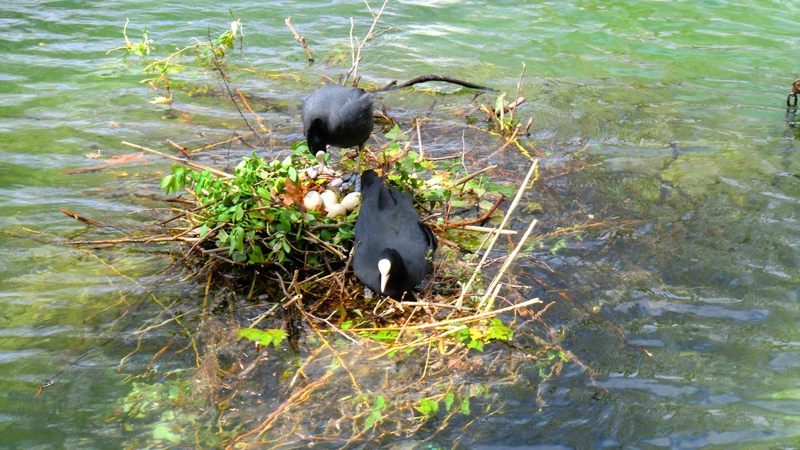 Even water birds build their nest on the river; displacing some boat moorings. I like this simple but elegant and well proportioned footbridge across the river. I have always liked bridges, especially those in Europe, as a lot of attention is made towards the aesthetic quality and their integration with the environment. Bridges also symbolize connectivity and also the overcoming of an obstacle, in this case, the river. 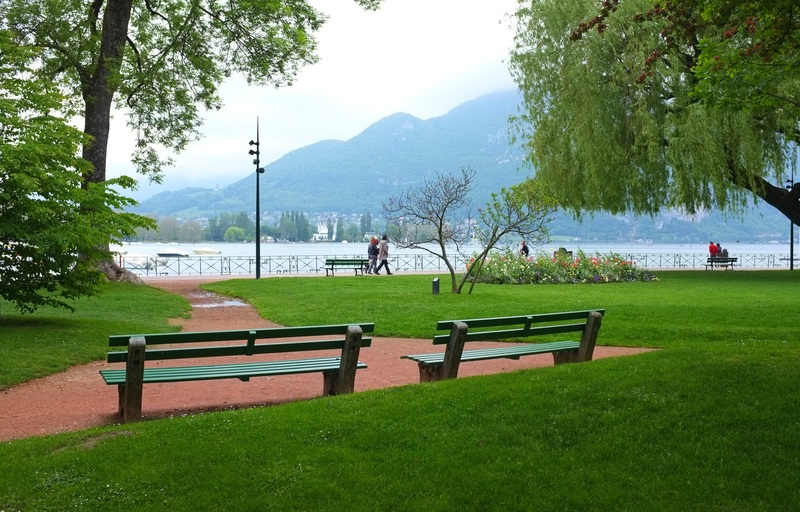 We strolled as everybody strolled by the lake. 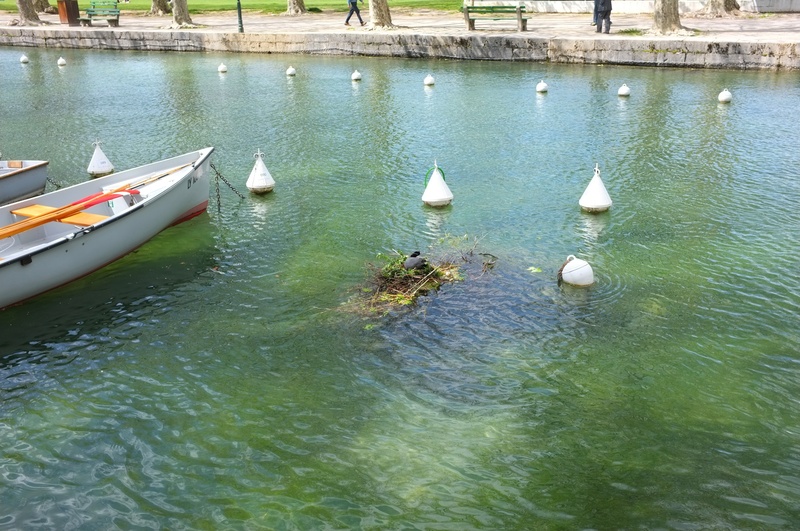 The lake instilled a certain calmness in our minds and the fountain reminded me of the fountain we saw in Geneva, albeit much smaller. There was a lot of activities on the lake. The water was still cold and nobody was brave enough yet to swim. 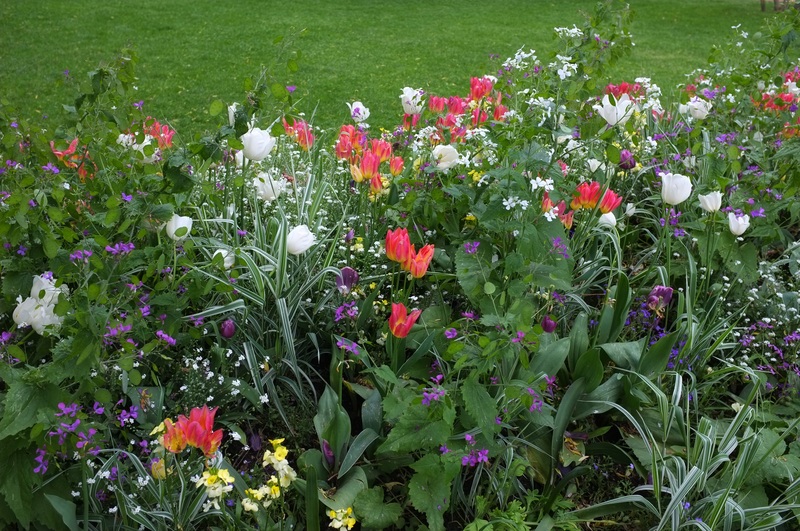 We could just go on and on , walking along the banks and appreciating the blooming flowers. 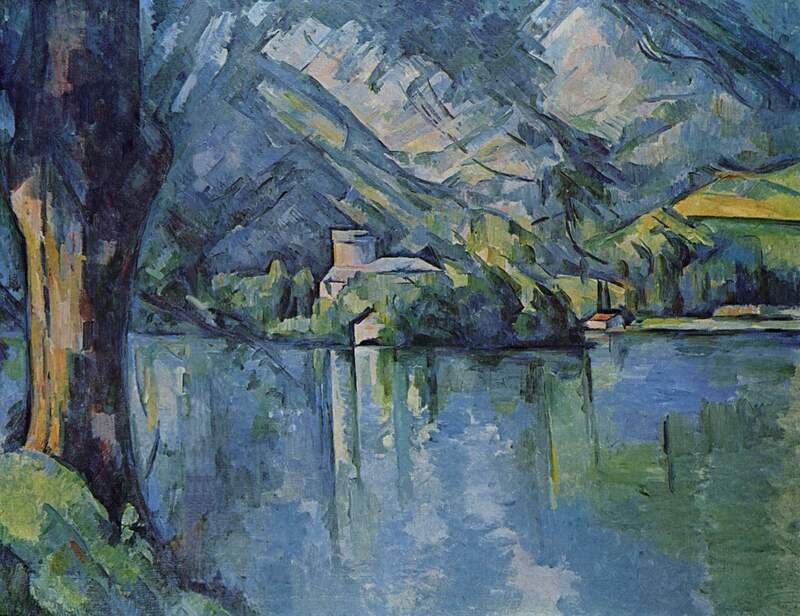 Unfortunately, we did not have the time to explore the part of the lake which Paul Cezanne painted of Annecy. As with many of our travels, we always miss some of the things we dearly wanted to see. . . . . . . . perhaps, this gives us a convenient excuse to come back later.